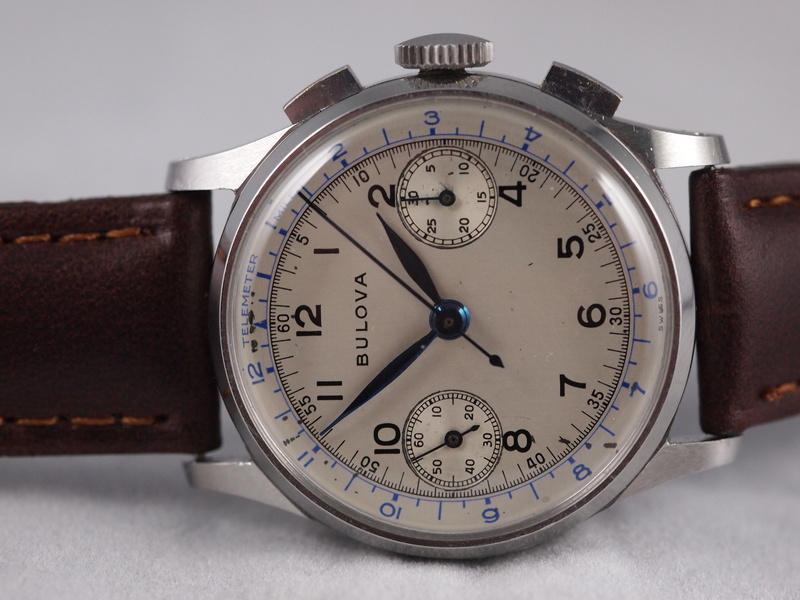 Buying Pre-50s chronographs in non-working condition and expecting to get them running again is usually like trying to find true love through Tinder, but every once in a while you find a piece that entirely renews your faith in these vintage chronographs (and one’s ability to fix them.) 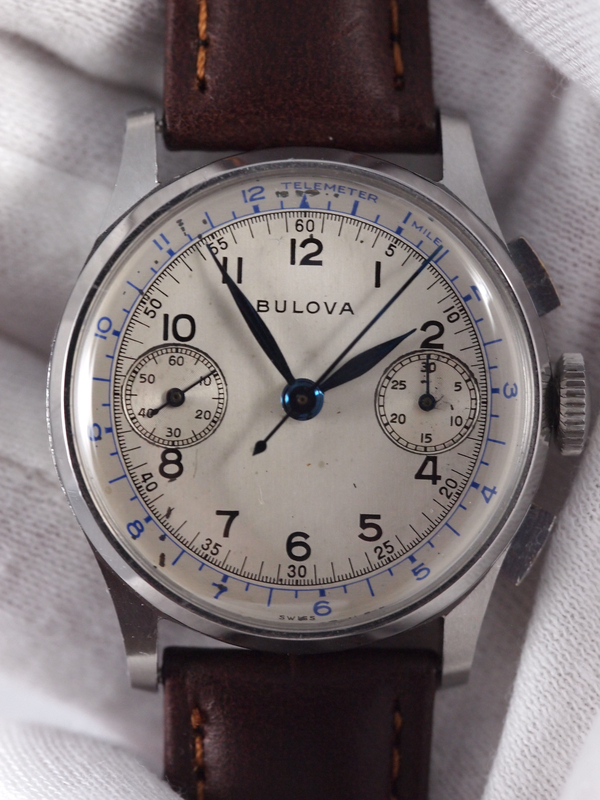 This Bulova Chronograph from 1941 reminded me about what is so mesmerizing, elegant, and beautiful about chronos of this era. I bought this great piece off of a forum with what was supposed to be just a mainspring issue. What I found was so much worse. 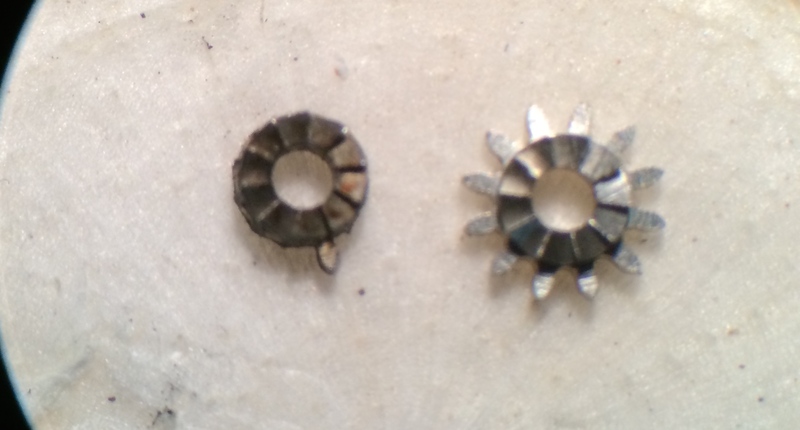 Ironically the mainspring was fine (but I replaced it anyway.) 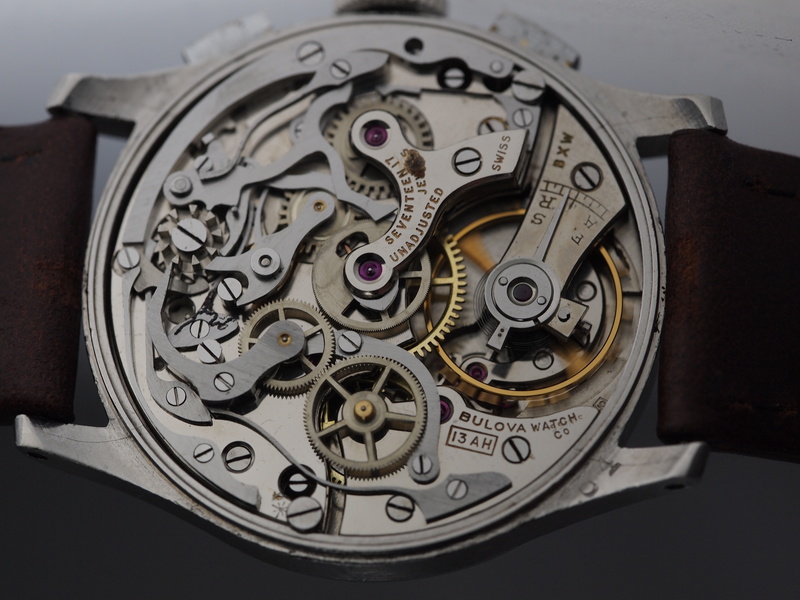 The real problem was the winding pinion and all the pieces it left behind. When I removed it the wheel only had one tooth left (as I imagine some other things of this age….) Unfortunately this made it impossible to wind the watch and also meant that there were 11 broken teeth that were at one point floating around in this piece. Luckily these did not cause too much of an issue. I decided to take the usual shot in the dark that these chronographs are and set about disassembling, cleaning, reassembling, oiling, and praying it will work when it all comes back together. When working on chronographs, unless you are very used to them and have a crazy good understanding of the mechanics and all the little quirks of each different caliber, technical guides are your best friends. 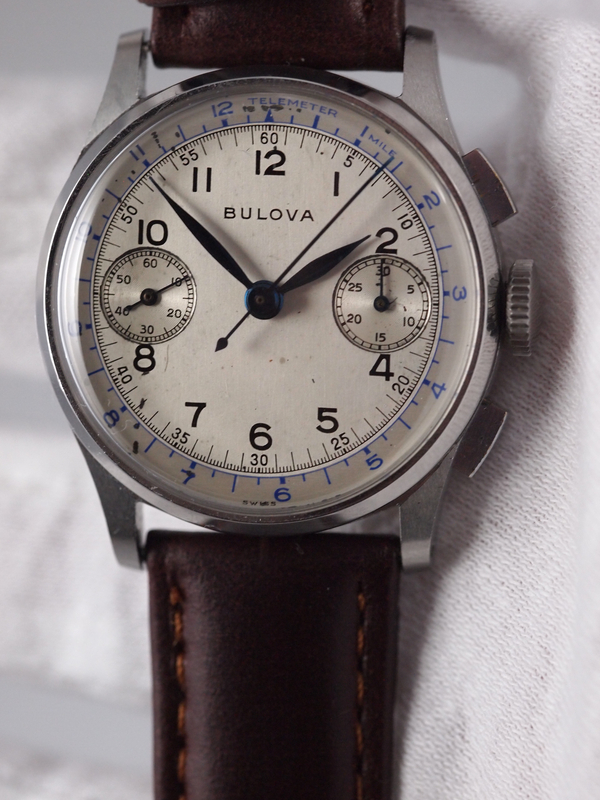 Vintage chronographs have the equivalent of a bible that comes in 28 volumes and is called the Esembl-o-Graf series. This series has just about every base caliber and detailed instructions on its takedown, assembly, and oiling procedures. 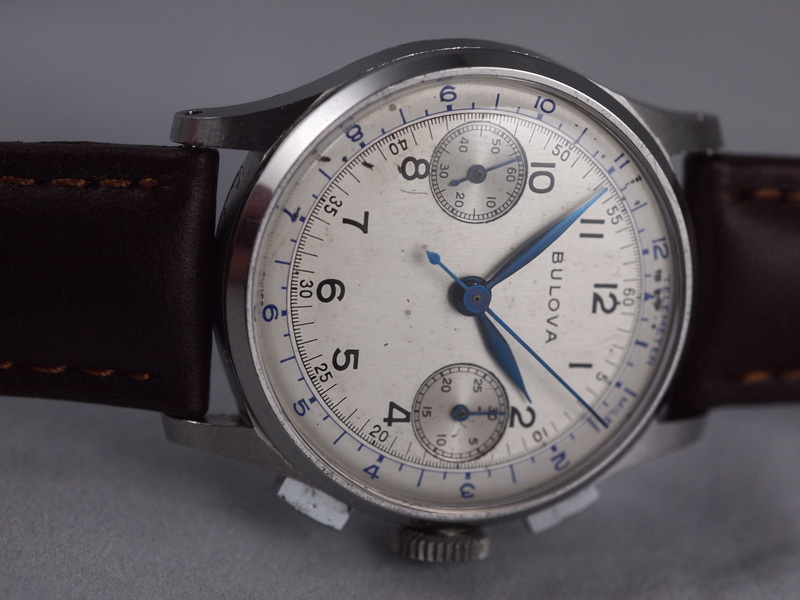 This chronograph was a Valjoux 23 base so that’s where I went. There are digital versions available, but I am a sucker for vintage books and was able to pick up a full set for my horological library. With a book as my guide I got the whole thing back together and shockingly, it worked! There was however one thing still wrong that I only noticed during disassembly and inspection, the minute jumper spring was bent. This was incredibly annoying as not only is this part impossible to replace, but it is unreasonably delicate as it needs to allow a gear to gently pass without stopping the whole train, and yet needs to have enough tension to give the wheel its “jumping” effect. 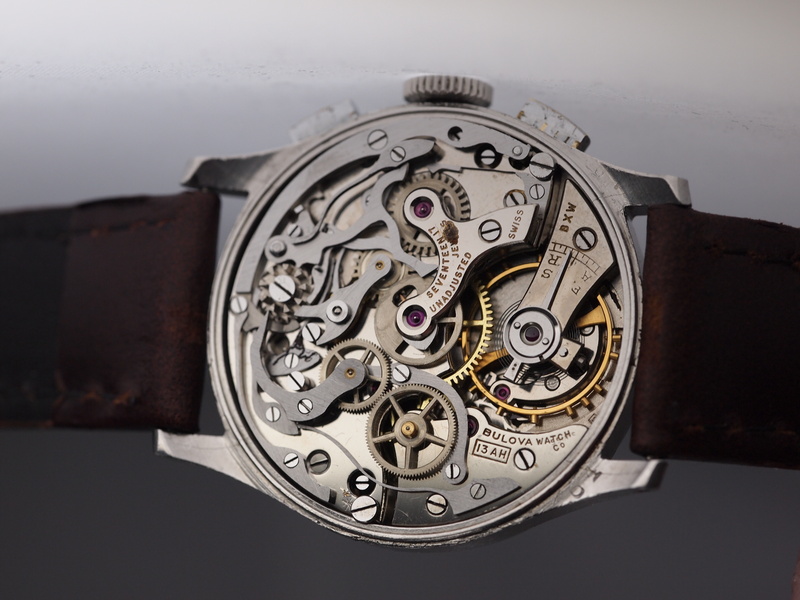 I very carefully bent the spring back to its proper alignment and other than the mysterious spot of rust on the chronograph bridge the movement came out magnificently well. It sparkles for a piece that is more than 70 years old. 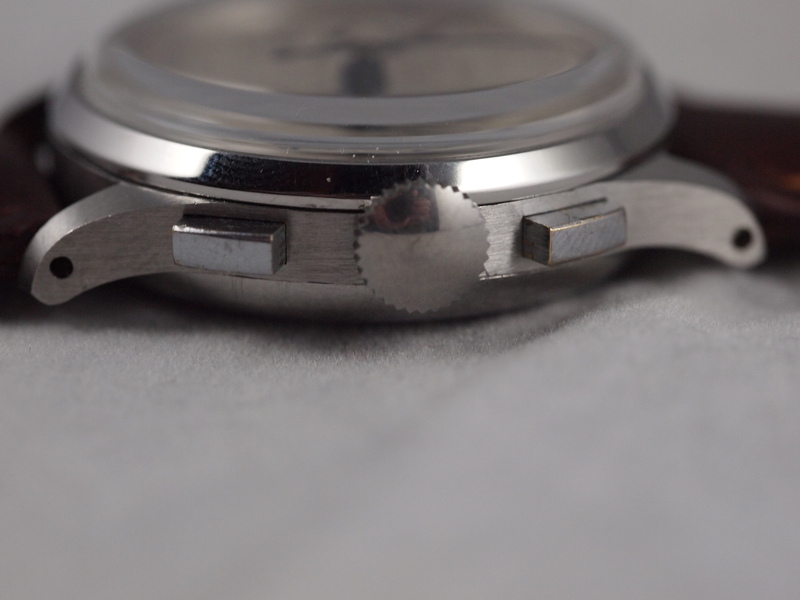 Once I got the dial and hands on and went to case it up I noticed an external problem. 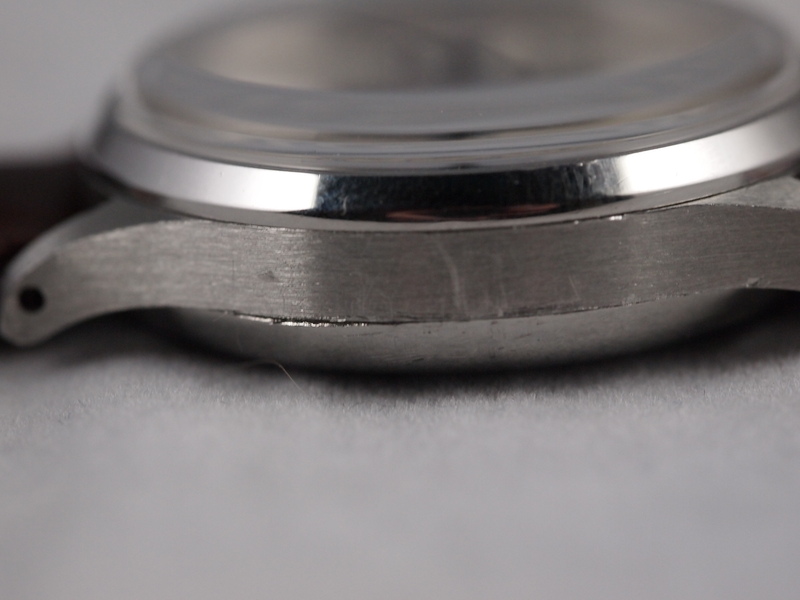 The bezel would not sit properly on the case middle. Nothing like one more obstacle with a watch just as you think you are going to be finished with it. Unfortunately I could not remedy this problem myself and had to send this case to some experts. On a recommendation I contacted ABC Watchwerks. In an industry famed for intimidating and rude service, I was very pleasantly surprised by the friendliness, speed, and quality of work that they produced out of their shop in LA. They also did some amazing work on another piece coming to the blog soon. With the case functioning perfectly I was finally able to finish this piece and appreciate its full beauty. 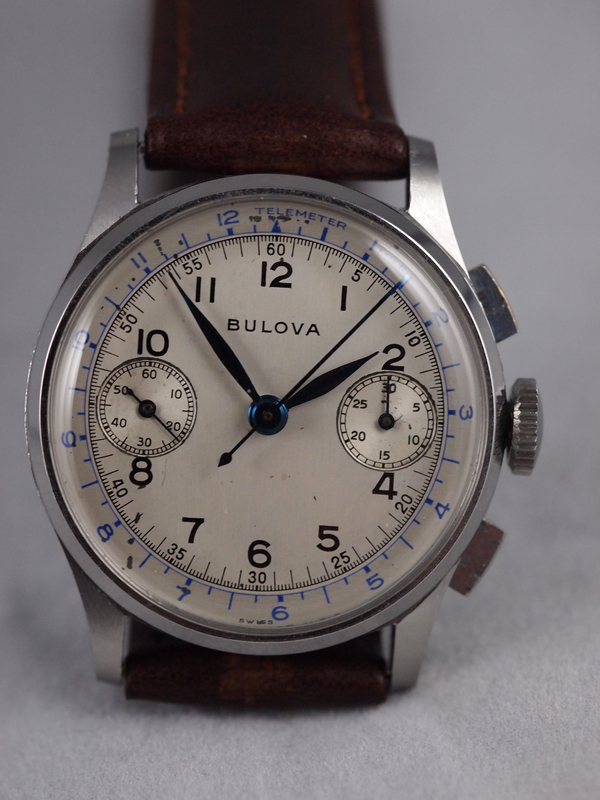 There is a certain elegance and class that these vintage chronographs have that was lost with time. The crisp numbering and the contrast of the blue and black lend a legibility and simplicity that is unmatched in most modern chronographs. Even the sub-dial numbering is easily legible. It is no more than what it is intended to be and shows no useless design fluff. 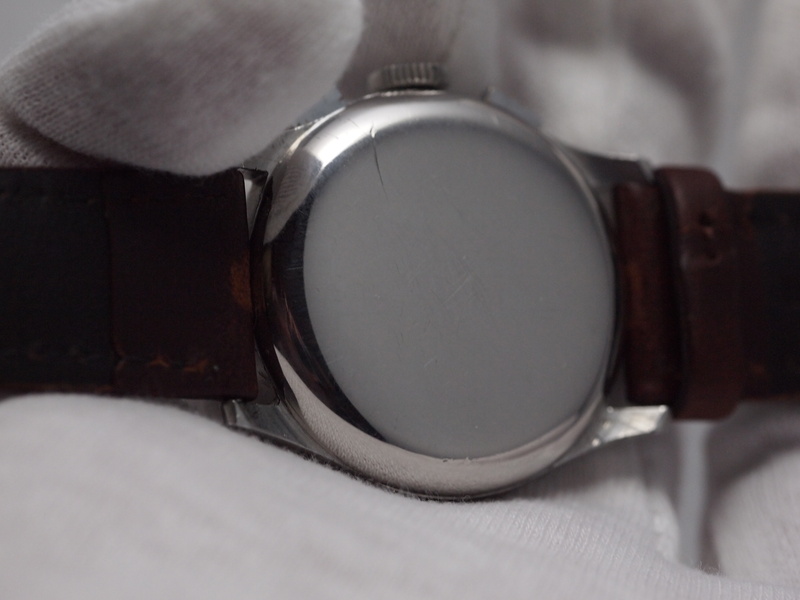 It is a perfect piece as a dress watch with a little more than just the time to make it pop. While it does show some signs of mistreatment in the past, it has aged far more gracefully than many other 73 year old things (or people.) Back together it is in my opinion one of the best chronographs I have worked on to date, but I have a feeling that it will inspire me to buy a few more chronographs that will not end as well as this one did. Only time will tell.